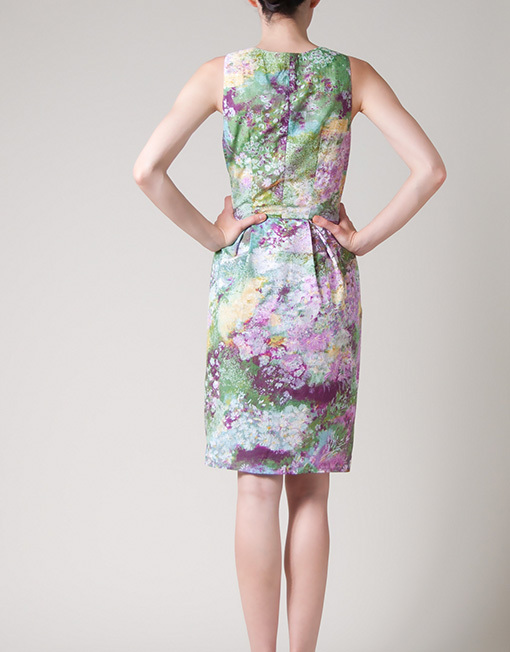 This 2 pieces dress is made out of a beautiful fabric with pastel floral print. Top of the dress is fitted and bottom tappers gently down to create gorgeous pegged silhouette. Care instructions: cold hand wash separately; do not soak, bleach, rub or wring; lay flat to dry in shade; cool iron. The dress is from our 'Be Unique' range. It is made in one copy only and will not be duplicated. Categories: Dresses, Women. Tags: dress, floral, midi, pattern, sleeveless.